Rosie Thompson took the Miss Birmingham title in March 2015, for the last few months she has worked so hard and a brilliant ambassador to Birmingham. Rosie, as well as taking the title, earned her dream job travelling the globe with British Airways and has been excelling in it! As her horizons continue to grow, she has unfortunately had to come to the decision to hand back her title. It is a choice that we respect wholeheartedly as her future is full of so many different opportunities she can’t afford to miss out on with her having to travel backwards and forwards with work and Miss Birmingham commitments. This now means the Miss Birmingham title is without a face and we are so happy to announce that Miss Birmingham Runner Up and Miss Redditch Molly Noke has now become the new Miss Birmingham 2015! 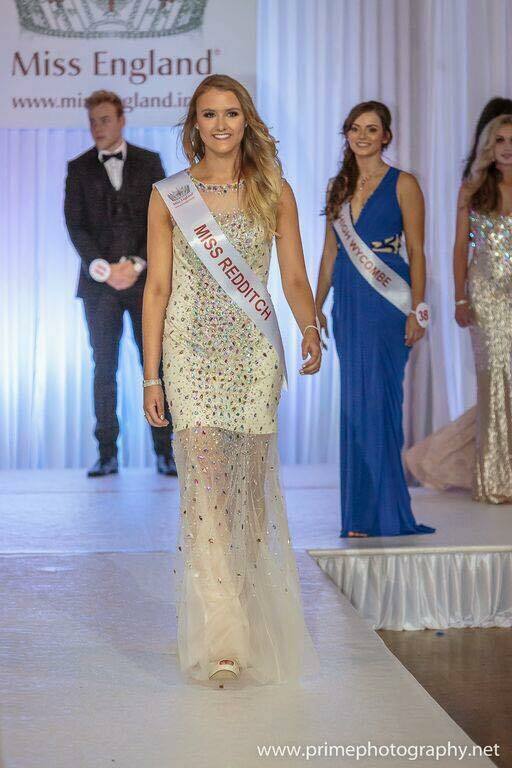 From the onset of the competition, Molly has worked tirelessly in her charity work and excelled at the Miss England Semi Finals as Miss Redditch wearing her Kiss me Kate gown. A huge congratulations to Molly Noke – our new Miss Birmingham 2015, we look forward to seeing her sparkle again in some of our Kiss me Kate Gowns.